My son is a donut-aholic. He comes by it honestly. I’ve been obsessed with the little O-shaped treats since I had teeth. 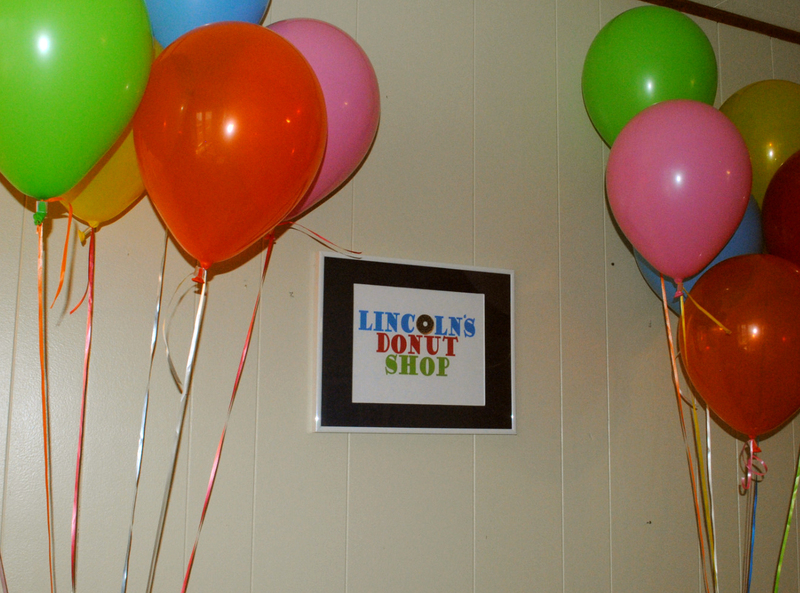 So when it came to throwing Lincoln his two-year-old birthday party this year, a donut party was the perfect choice. 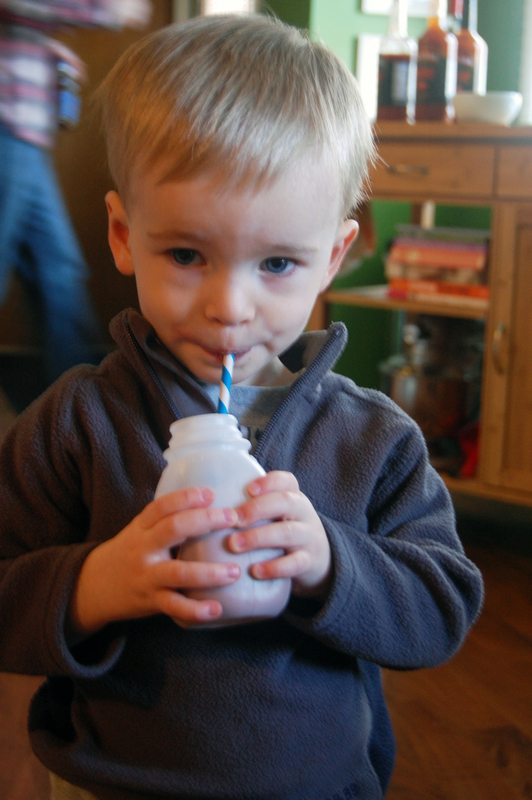 Lincoln was so excited for his birthday party, he could barely stand it. 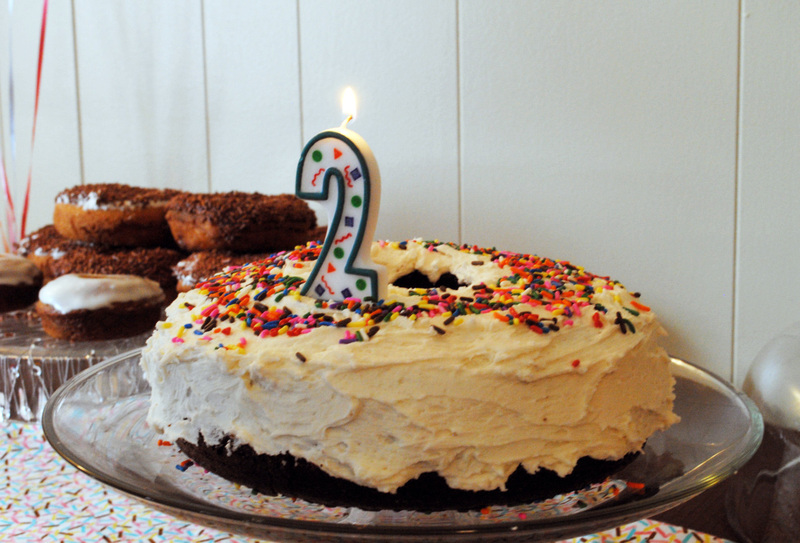 I originally planned on putting a candle in a donut, but he kept talking about birthday cake all week before his party. 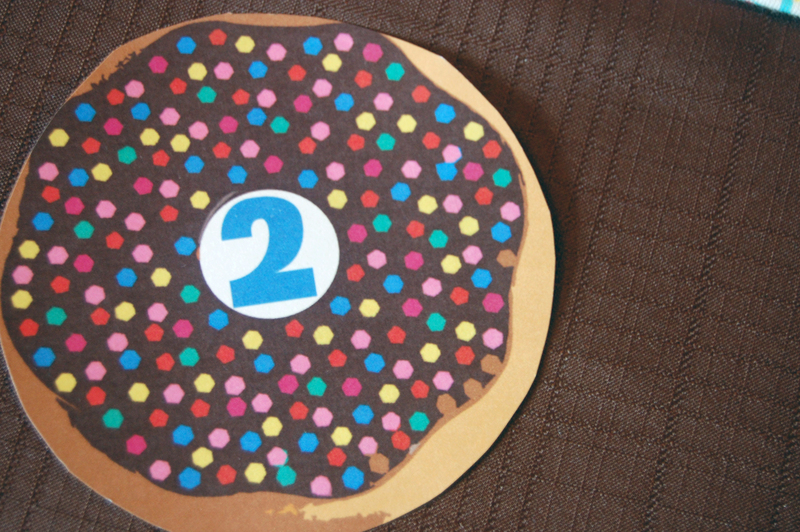 This Mommy could not disappoint her big boy…so a cake he got (in the shape of a donut)! 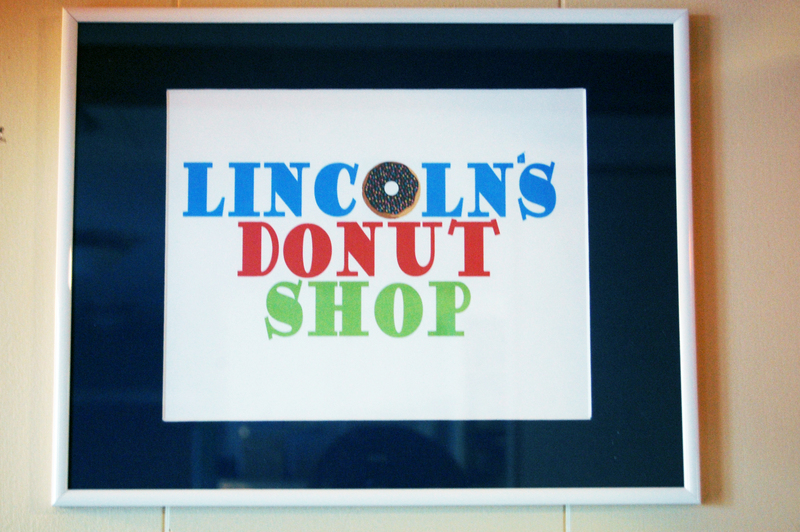 A Lincoln’s Donut Shop sign hung above the breakfast buffet. 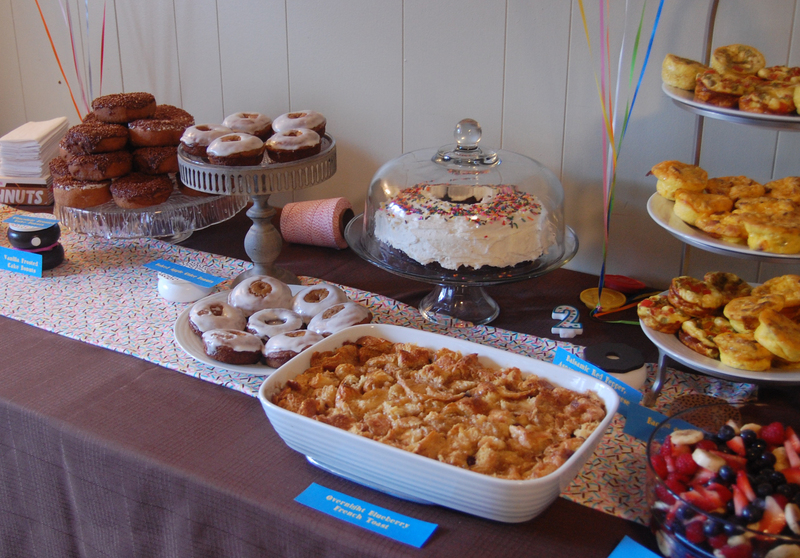 Since Lincoln’s always happiest in the morning, brunch seemed like the perfect idea. Donuts from my favorite hometown Cumberland Bakery in Des Plaines, IL were served along with homemade baked apple cider donuts. 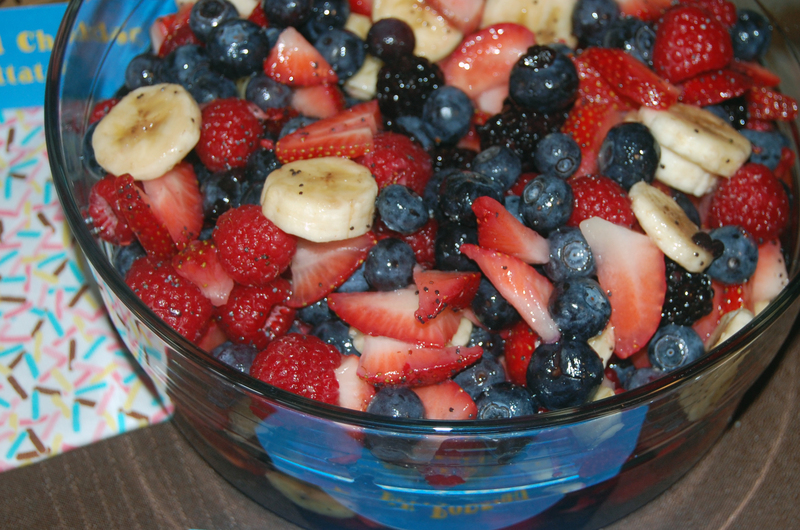 Also on the menu: overnight blueberry french toast, balsamic asparagus and red pepper mini frittatas, bacon and cheddar mini frittatas, honey poppyseed fruit salad and little sausages. 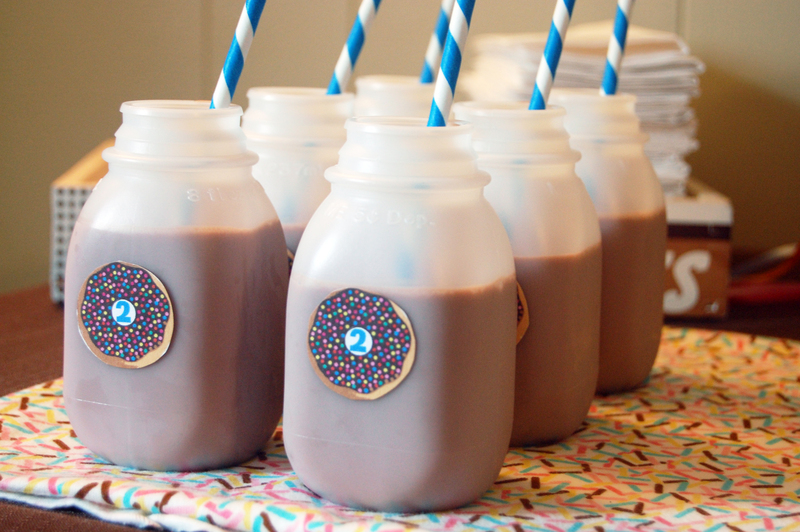 Oberweiss chocolate milk decorated with the donut logo was served in little milk jugs with blue and white paper straws. 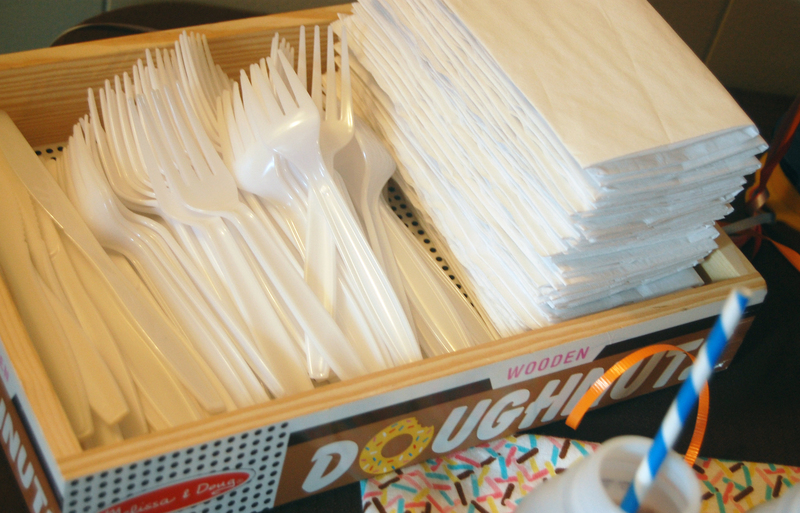 We used Lincoln’s Melissa and Doug wooden donut set to hold the silverware and napkins and the food tags. It may have been a kid’s party, but adult bevis were served. 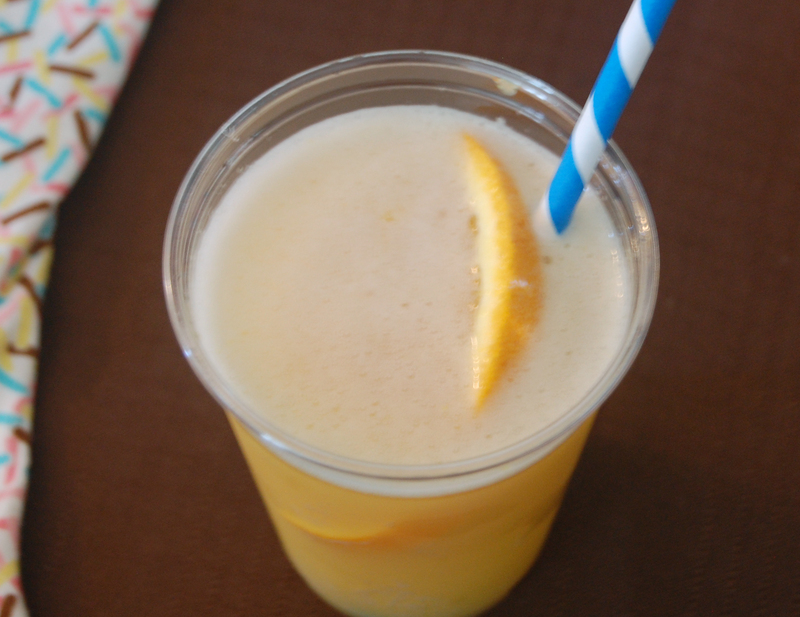 Bloody Marys and Beermosas (Belgian White Ale and Orange Juice) were sipped using the blue and white paper straws. 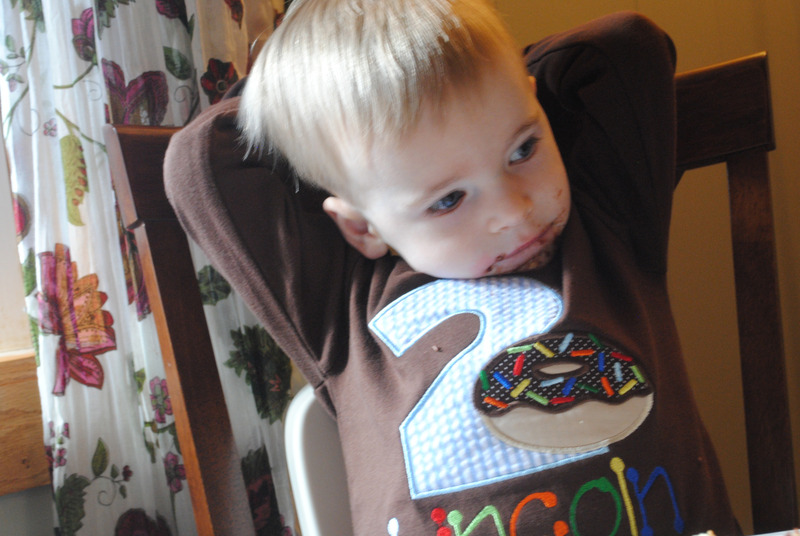 The birthday boy wore a personalized donut shirt given by his aunt and Godmother from Lois Jean Linens. All in all the day was a big success! Cheers to another great year!